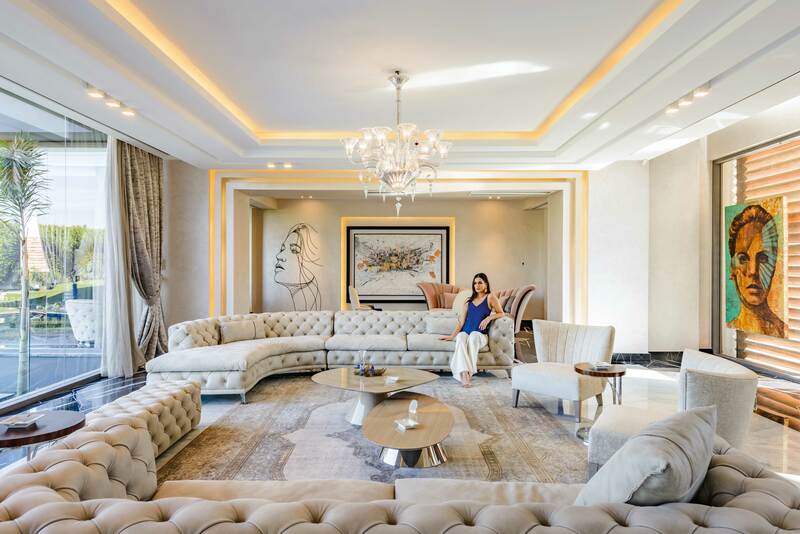 The interior design field is booming across Egypt and the Middle East today, and one name especially stands out, Hany Saad Innovations. 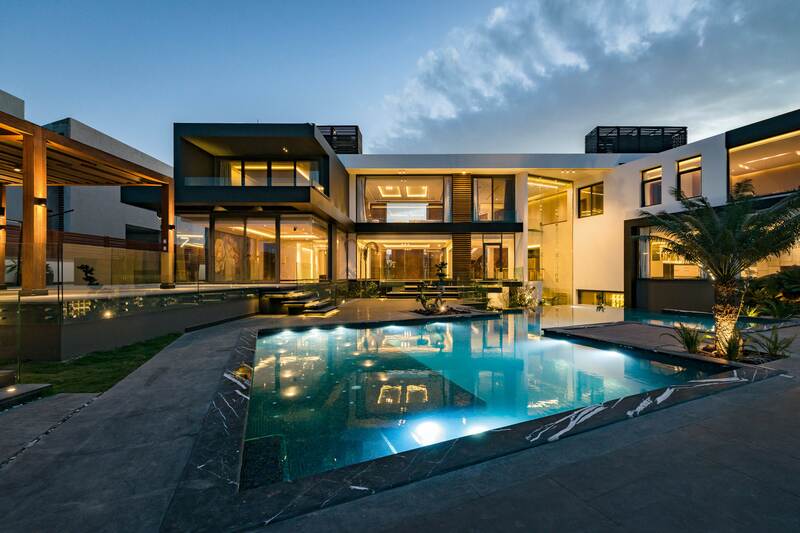 Led by architect Hany Saad, this company is changing the face of architecture and interior design as we know it with one successful project after another, turning heads every time with its amazing vision and creativity. 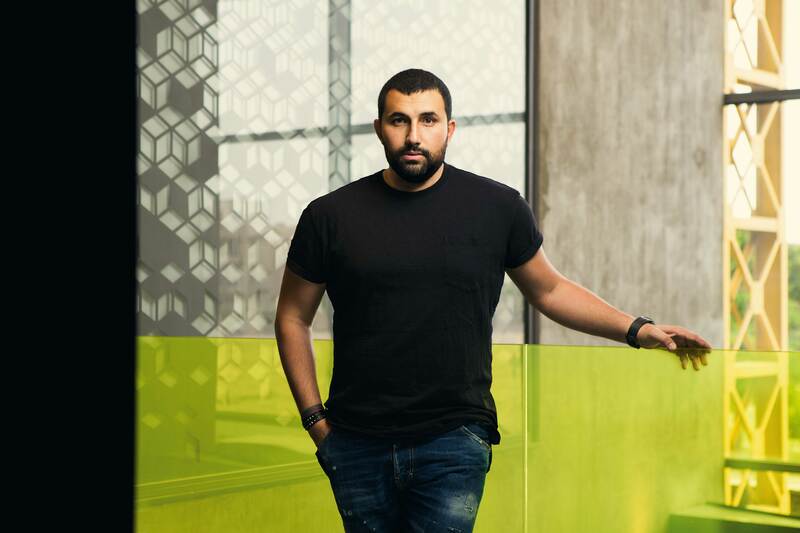 eniGma’s Mohamed Hesham sat down with the man of the hour, Hany Saad, to hear all about his success story and his plans for the future. Hany Saad is no stranger to eniGma. Years back, he was featured in the magazine as our choice for the ‘Face of the Future’ in his field. And lo and behold, today Saad and his go-to interior design firm are at the very top of the interiors field in Egypt and the Middle East. You can actually feel their amazing energy and boundless creativity as soon as you enter the company’s stunning premises. You will not want to leave. 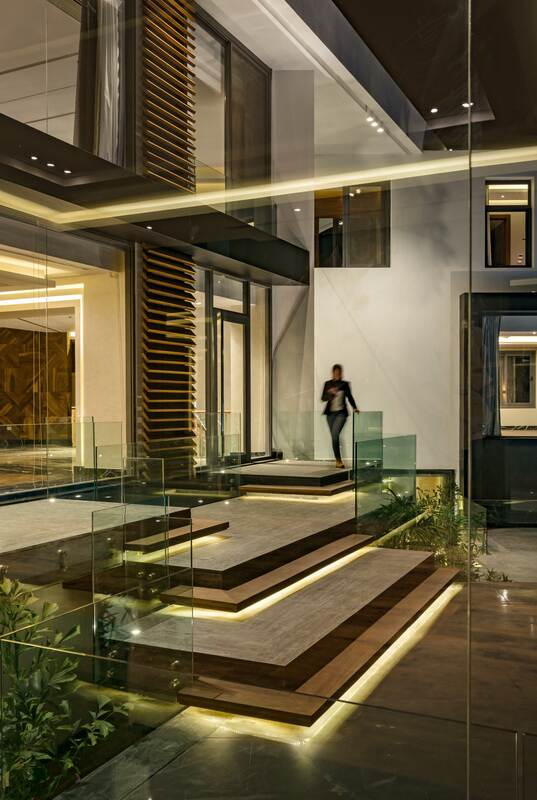 It is just the right preview of the design possibilities that Hany Saad has to offer. Hany Saad’s love for architecture started when he was a child in the 1980s. “When I was young, my dad used to work with construction workers. I saw the construction aspect of the work and how a building came to life. This was very intriguing to me. My eyes began to search for buildings under construction all the time. The idea of watching something being built from scratch was very inspiring to me,” recalls Saad, who went on to study architecture at Misr International University. Once he graduated in 2003, he started his journey as a professional. “My path was quite weird and lacking logic in everyone’s view, even that of my parents. I was at the top of my class when I graduated, but I immediately wanted to work on my own. Everyone told me that I couldn’t, because I didn’t have enough experience or money to start my own company. However, I felt that I had the talent and the will to make it happen. I didn’t feel that I needed to get a master’s degree from MIT or Harvard to prove myself. You must believe in yourself before others will believe in you. You shouldn’t have to listen to others or follow the path they planned for you. Build your own path! I am so thankful that God gave me the strength to remain persistent and to stay on my chosen path regardless of everyone’s pressure and criticism,” says Saad. Saad started from scratch. Not having an office, he began by using his email and home phone to make flyers and brochures. He handed the flyers out to security guards at newly built villas and buildings under construction, and asked the guards to give them to people looking for interior designers, promising them a share of the money he would make from clients they brought him. “The first six months, no one called, and the pressure on me intensified, especially as I was receiving job offers to join other companies. But I stood my ground and rejected the notion of working for someone else,” he recounts. Then one day, a friend approached him, broaching the idea of Saad furnishing his brother’s house. “He asked to see my portfolio, but I had none, since he would actually be my first client. So I told him that I would do it for free, and this became my first ever project. I didn’t care about the money. I wanted to gain experience and to become exposed to the market. I created the design, the client loved it and he asked me to execute it. Execution was my second challenge; I had no clue where to begin. I didn’t know where to get materials or workers. So, I would drive my car around and ask any worker I saw to work with me. Once I got a painter, he brought me an electrician, who brought me a plumber and so on. There was also a lot of construction jargon that they didn’t teach us in university, that you only learn on the job. So I would jot down everything I learned in the market in a notebook. It became my little manual, with drawings of tools with their names and functions,” Saad reveals. “My company was like a baby; I didn’t even notice it grow. I never felt big. I always felt like I could do more. There is always room for improvement. I rush to work every morning even though I’m my own boss. I always feel like I haven’t reached the top,” says Saad, whose company went from a one-room office in Mokattam to a building in the Fifth Settlement with around 380 employees, 240 residential projects under its belt and more than 15 business partners, including Schneider Electric, Jotun, Philips and Daikin. “Our partners are extremely important to us. They support us technically by providing training to all our staff. They keep us up to date, sending us to conferences and giving us courses, as the market is constantly changing,” Saad explains. Hany Saad Innovations’ impact on the industry in Egypt, is palpable. 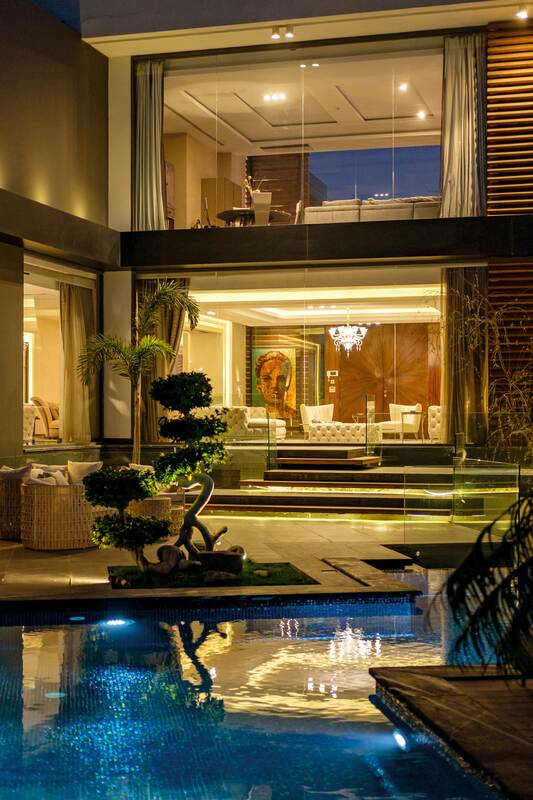 Saad introduced the concept of an interior design firm rather than just an interior design studio. It is also one of the few companies that design and build, offering both services. Its scope has widened even more as it works more with developers rather than individuals only. 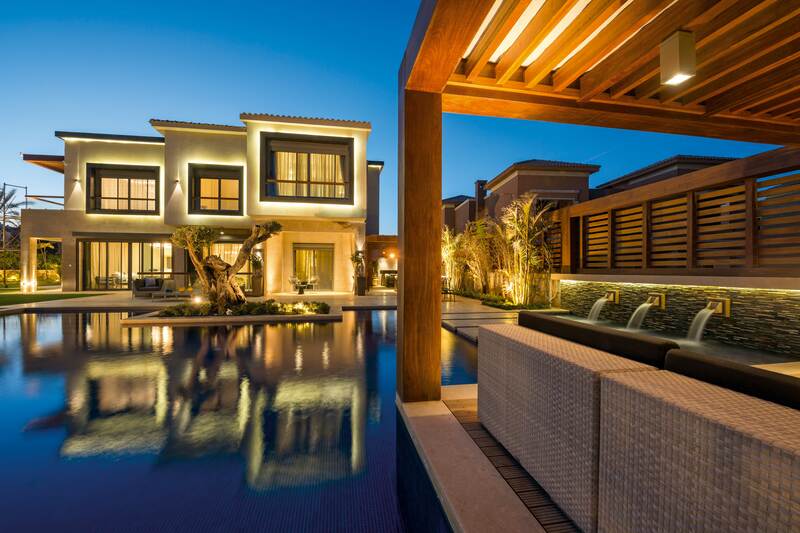 Hany Saad Innovations has worked with Qatameya Heights and Sodic, implemented many projects in Sokhna and Sahl Hasheesh, and designed and constructed malls and club houses. Today the company also has projects in the Middle East, in Dubai, Qatar and Sudan. “Right now, we are working on very exciting projects, such as Kattameya Heights’ new venture in the North Coast, Kattameya Coast. The project is currently under construction, and I love it. 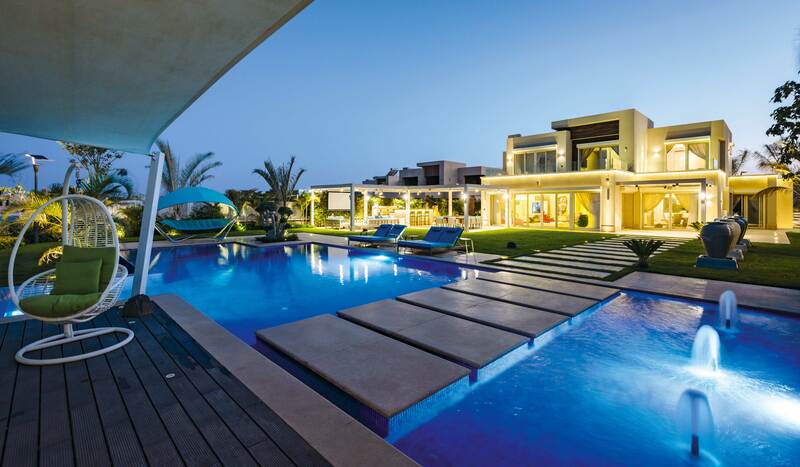 On an individual basis, we have projects in Allegria, including one of their biggest mansions. It’s huge and challenging, with a different, more classic sense of style. We are also working on the Al Jazzy Project, which is a very superior residential apartment complex, located in the Fifth settlement. And we are working with Azha in Ain Al Sokhna, which will be facing the sea, so we maximised the views and created comfortable space where the outdoors and the indoors are a cohesive whole. There are different clienteles for each project, and we are looking to fulfill the expectations of each of them,” he affirms. To Saad, the most challenging projects are the fast track ones. “We have many projects that we have to finish in a short period of time. You have to produce something innovative and creative in a limited time. Many times, I had large residences that had to be finished in the span of six months. Sometimes, such projects involved mansions with cinema rooms and swimming pools that needed to be done in a very short period of time,” he explains. Even though the company now handles a variety of different projects, Saad still manages to integrate his aesthetic into each one of them. “I feel that my spirit and soul is in every project of mine. I love to use natural materials. You will always find teak wood, natural marble, claddings and wooden flooring. I like the integration of different materials in one floor. We are also always attentive to the lighting design; our lighting is applied in different techniques. All our projects have that in common,” claims Saad. Saad makes sure to always stay on top of the latest trends in the field of interiors. 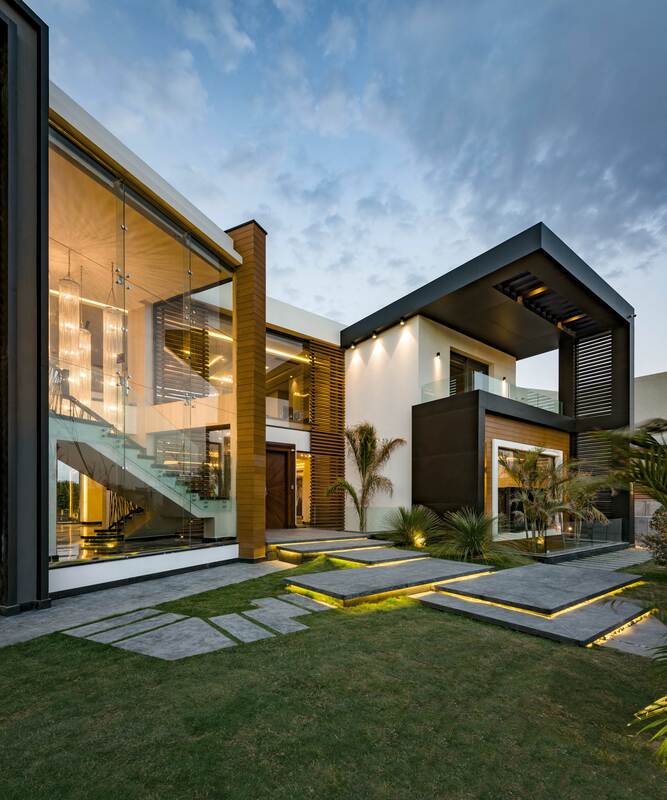 “Practicality and simplicity have become the main features of design. The lines have become sleek, neat, sharp and very straight and to the point. The fabrics have started to take on a geometric pattern. People now have enough stress and workload outside their homes, so they want to return home and feel comfortable and cosy, with an eye relaxing scene. They don’t want too many details. I make sure to stay aware of the latest trends, which creates a visual library in the back of my mind. When I look at a certain space, I’m able to recall these thoughts, enabling me to move in the direction I want,” he explains. “I always had the intention of being someone that helps others, makes them happy and gets them jobs. I strongly believe that in any field, you have to take on this role, to give back in order to succeed. You have to benefit your society as well. I try to help students and other start-ups. I answer their questions and give them training and seminars. In addition, I make sure that my team includes about 15% handicapped employment. I also try to maintain a percentage of fresh graduates and I give summer internships. I believe this is what helps us grow as a company,” he explains.